Over the weekend I attended a preview of the 2016 New York Toy Fair to check out the array of new figures from Hasbro. This included new Star Wars products, as well as toys for Moana, Captain America: Civil War, and Jurassic World. It was hard to not immediately get caught up in a wave of nostalgia looking at the figurines. Unfortunately, Hasbro’s strict no touching policy meant that if I even came close to even breathing on one of the figures then I’d have been thrown out on my ear. Luckily, they allowed me to do my best impression of Annie Leibovitz and take some pictures. 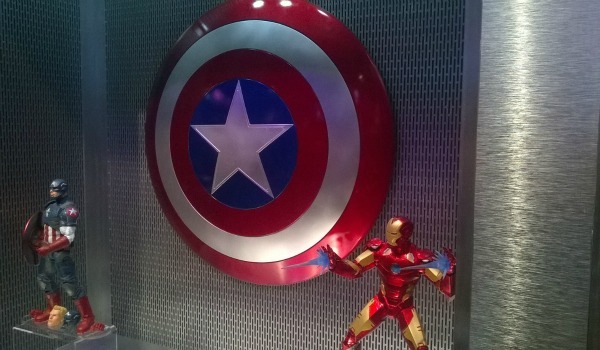 And here are 10 of the coolest movie toys that I came across at the 2016 Hasbro Toy Fair. Around the release of Star Wars: The Force Awakens, there was, rather rightly, a huge kerfuffle about the lack of toys depicting Daisy Ridley’s Rey. What this oversight said about the powers-that-be’s thought process regarding female Star Wars fans isn’t worth considering in such a small space. 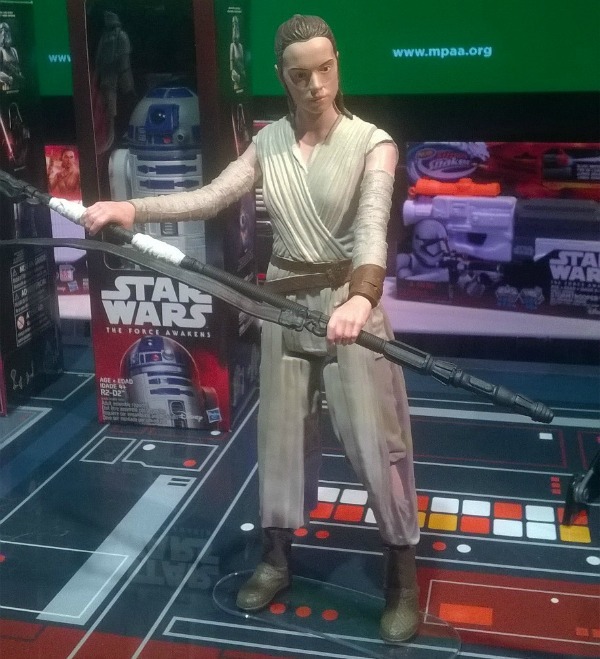 So, it wasn’t a surprise that Hasbro jumped at the opportunity to release details of new Rey figures at the 2016 New York Toy Fair. The above is a 12-inch scale figure of Rey from Jakku, which features five points of articulation and an accessory, and it is just one of a number of figures that depict the new main character of the Star Wars universe. Unfortunately, Hasbro wasn’t quite ready to take the leap and premiere figures from Star Wars: Rogue One. Captain America: Civil War – Captain America Shield 24"
While the Captain America shield measures in at the rather humungous 24", Hasbro also created a fully functioning Iron Man helmet. 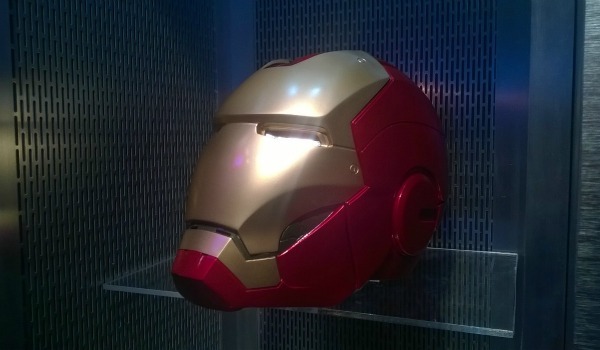 As Hasbro’s Marvel executives showed us during their Entertainment Brand Preview Event presentation for the 2016 Toy Fair, the Iron Man helmet fits perfectly over a fully-grown adult's head. The helmet also includes light up eyes, sound effects, and its faceplate detaches and magnetically connects to the top of the helmet. Both the 24" Captain America shield and Iron Man helmet will set you back $99.99, but, rather disappointingly, they won’t actually be with us until September 1st. Star Wars: The Force Awakens - Captain Phasma 6"
One of Hasbro’s most popular Star Wars lines has been its Black Series, which sees 6" figures come in a slick, black packaging. 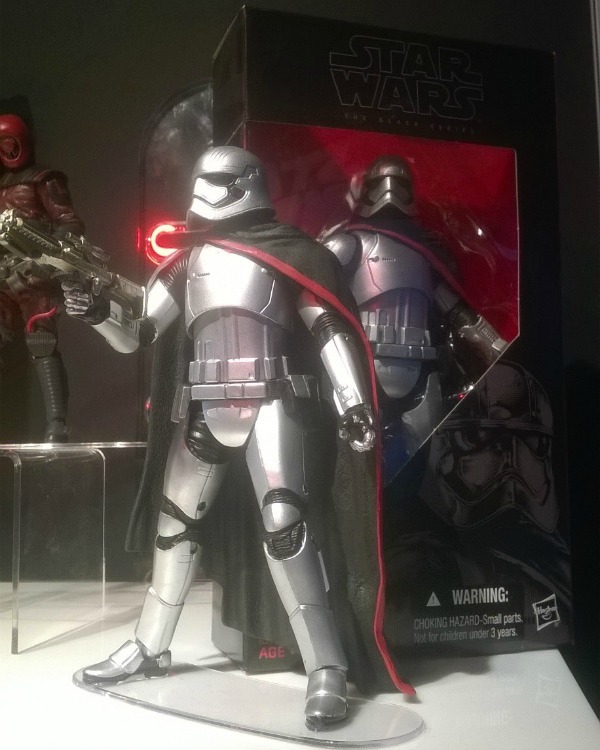 But while the Poe Dameron, Kylo Ren, and Jakku Finn and Rey Black Series toys on display at the 2016 Hasbro Toy Fair were impressive, what really caught my eye was the figure for Captain Phasma. Played by Gwendoline Christie in Star Wars: The Force Awakens, who has already confirmed that she will return for Rian Johnson’s Star Wars: Episode 8, Captain Phasma was met with indifference by fans. But this highly articulated and exceptionally detailed new 6-inch scale figure of Captain Phasma highlights just how cool and imposing the character still is, and proves that there’s still plenty time for her to be more like Boba Fett than Jar-Jar, just yet. You can get the Star Wars: Black Series Captain Phasma 6" from Toys ‘R Us for $19.99. We might still be nine months away from Moana’s release date of November 23, 2016, but Disney is well aware that the financial rewards of its toy sales are more than likely to eclipse it box office total. 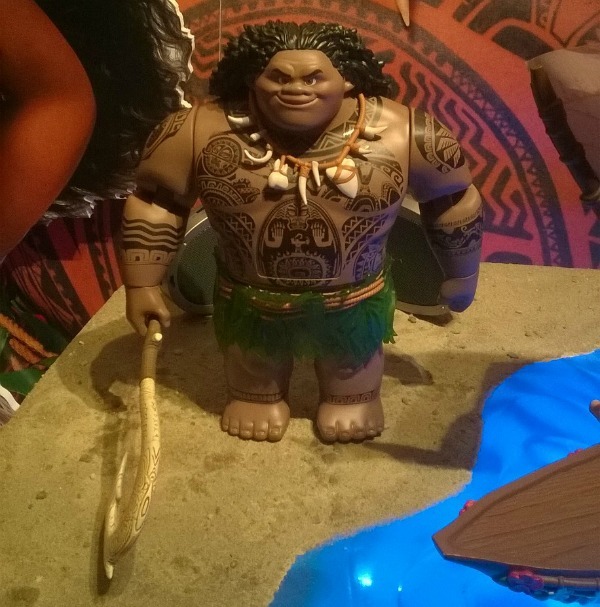 So, to get a head start, they allowed us a glimpse at character figures from Moana. This included a formal introduction to Moana of Oceania, who Hasbro have described as Disney’s next action heroine. The figure includes rooted hair and comes dressed in authentic fabric fashions inspired by the film. They didn’t stop there though, because they also premiered a Swing ‘N Sounds Maui the Demigod figure, who will be voiced by Dwayne Johnson in Moana. This action-figure not only has a fun fishhook swinging action, but you can twist his body, and it also says ten notable phrases too. Imagine, it will be like having Dwayne Johnson in your home. 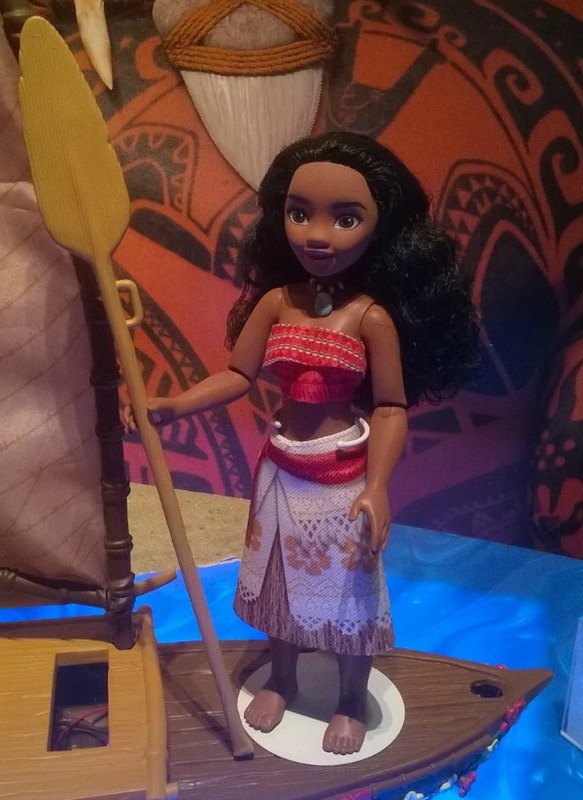 The Maui figure will set you back $29.99, while the Moana adventure toy costs $14.99. Both will be available in Fall 2016. Going into Star Wars: The Force Awakens it was also going to be a big ask for BB-8 to emulate the popularity of his fellow droids C3-PO and R2-D2. But the Astromech immediately rolled his way straight into our hearts during the course of The Force Awakens. 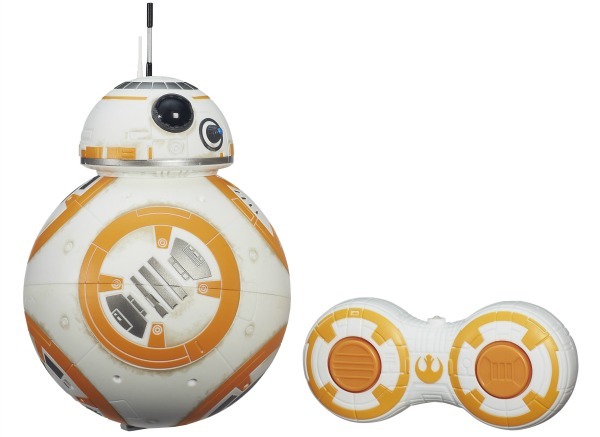 And now you can have your very own BB-8, courtesy of this remote control toy. With the use of a nifty controller, you can move BB-8 in any direction, just like he does in the film. The remote control BB-8 also comes with droid sound effects. It doesn’t have a lighter though, which is probably for the best. Star Wars: The Force Awakens’ remote controlled BB-8 will set you back $79.99, but it will be money very well spent. One of the most exhilarating scenes from Star Wars: The Force Awakens took place on Takodana, the home to Maz Kanata’s castle/watering hole. It’s since been revealed that Lupita Nyong’o had several Takodana scenes cut from the released version. 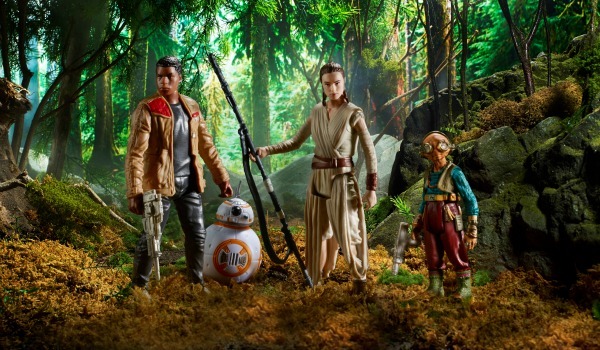 So the above four-pack featuring John Boyega’s Finn, Daisy Ridley’s Rey, BB-8, and Lupita Nyong’o’s Maz Kanata, will not only allow you to recreate their Takodana encounter (with the help of seven accessories), but it will also allow you to imagine just how much damage Maz Kanata might have caused. This is actually her debut in the Hasbro series. There’s also a nice patch of grass, which immediately calls to mine Rey’s line, "I didn’t think there was this much green in the whole galaxy. Jurassic World’s $1.670 billion gross means that Hasbro is chomping at the bit to take advantage of the blockbuster’s huge popularity. In order to do just that they’ve created a 21-inch long dinosaur figure of the Tyrannosaurus rex, Giganotosaurus, Majungasaurus, Rugops, Garnotarurus, Cuttlefish, Tree Frog, Pit Adder, Velociraptor hybrid Indominous Rex. This figure features a chomping action, mighty roar, and even has battle armor on her back. Looking for someone to do battle with the Indominous Rex? 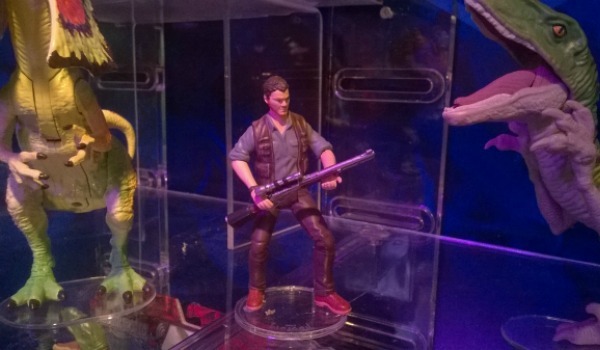 Well, there’s also a 4-inch figure for Owen Grady, too, which will come as part of a Jurassic World Vehicle Battle Pack set. As well as featuring a blue raptor, this pack comes with Owen and his trusty motorcycle, and it will set you back around $19.99. It will be available in Spring, 2016. 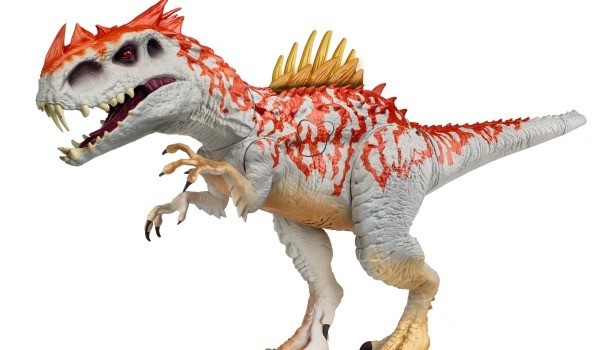 The Rampaging Indominous Rex will cost you $34.99 and is set for release in Fall 2016. 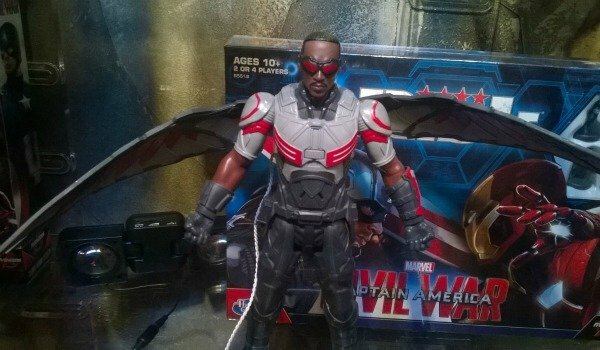 Captain America: Civil War – Falcon 3.75" & 12"
Anthony Mackie is one of the most beloved characters in the Marvel Cinematic Universe. Sure, his character, Falcon, doesn’t have his own solo film, but in both Captain America: The Winter Soldier and Ant-Man he charmed moviegoers with his innately charismatic portrayals. Now there’s not just one, but two figurines to do him justice. 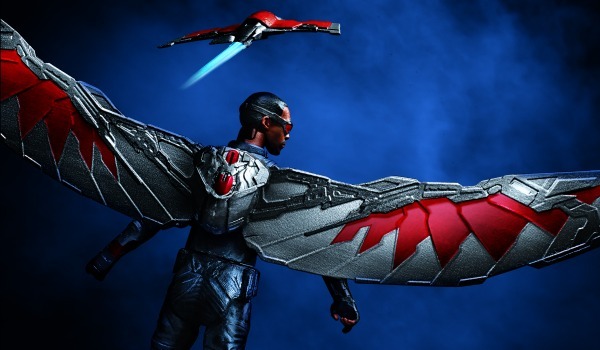 The first is a 3.75" Falcon toy, which even comes with a red falcon drone that will premiere in Civil War. But, Hasbro didn’t stop there though. They upped the ante with a 12" Falcon toy, which, while a little uglier because of all the necessary bumps and crevices to make it more mobile, is still hugely impressive. 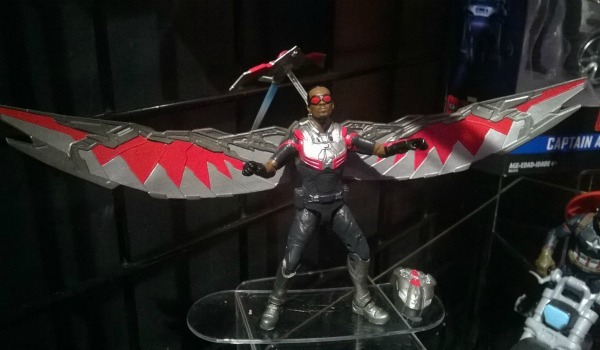 It’s good to see Hasbro are bringing Sam Wilson/Falcon to toy form in such a variety of ways. All of which suggest that he’s going to play a pivotal part in the very packed Captain America: Civil War. It wasn’t just figures for the latest instalment of the Star Wars franchise that caught the eye at Hasbro’s 2016 Toy Fair event. 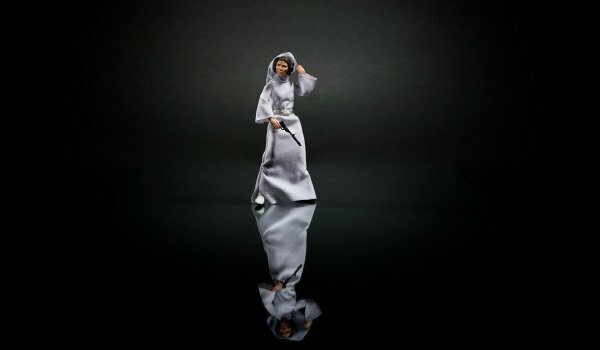 Their Star Wars team also decided to show us the figurine for A New Hope Leia, which is part of their Black Series line. During the presentation, Hasbro’s Star Wars team went into minute detail regarding the figure, and how they painstakingly amassed the correct material and colors for her clothes and blaster. It all seems to have paid off too, because the Leia figure looks pristine. It’s just a shame that it’s taken almost 40 years for her to finally be created and released.